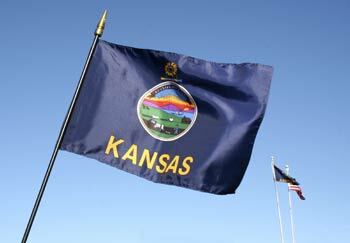 Kansas flag. 4x6 inches. Rayon on staff.